TORONTO, ON (June 19, 2018) – Biome Grow (“Biome” or “The Company”) is pleased to announce it has reached an agreement with Toronto-based Occupied VR Inc. (“Occupied VR”) to acquire Weed Virtual Retail Inc. (“Weed VR”), a new virtual reality technology platform focused exclusively on the medical and recreational cannabis markets. “Weed VR launched on 4/20/2017 and was immediately recognized as a company with the potential to revolutionize the sales process. 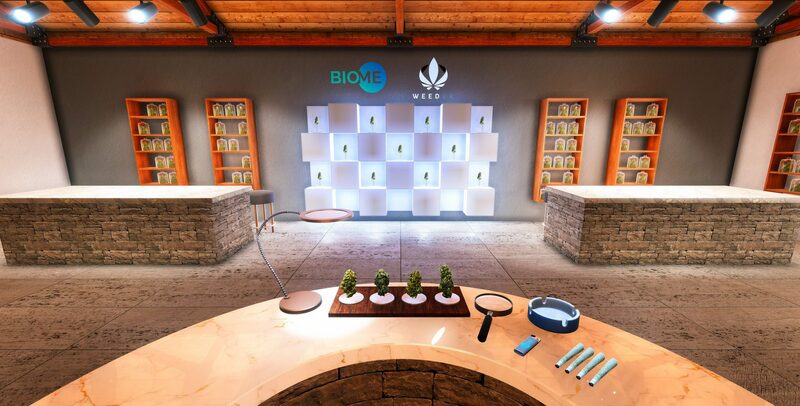 We’re very excited to have found the right partner in Biome to build and shape the educational and retail experience and the technological future of the cannabis industry. This is really just the beginning of a new virtual retail market,” said Fezz Stenton, Technical Director of Occupied VR and Weed VR creator. Fezz Stenton is currently the Technical Director at Occupied VR and creator of Weed VR. After years of creating Live Visuals and Projection Mapping for clients like TIFF, Redbull and Budweiser, Fezz’s love for new technology led him to become an early adopter of virtual reality. He fell quickly into the world of VR as it allowed him to apply his real-world design experience to create compelling and immersive virtual worlds and spaces. Fezz joined Occupied VR in 2015 and has become a key part of Occupied VR’s growth as they pushed the boundaries of what immersive VR and 360˚ video can do, leading to clients like Vice, Samsung and Lincoln. He most recently completed Living with Jaguars – an interactive VR documentary created alongside VICE – overseeing both video production and interactive components as its VR Director. In 2017, he launched Weed VR as the world’s first Virtual Dispensary. Fezz continues to experiment with new technology as he focuses on finding creative applications for emerging tech.